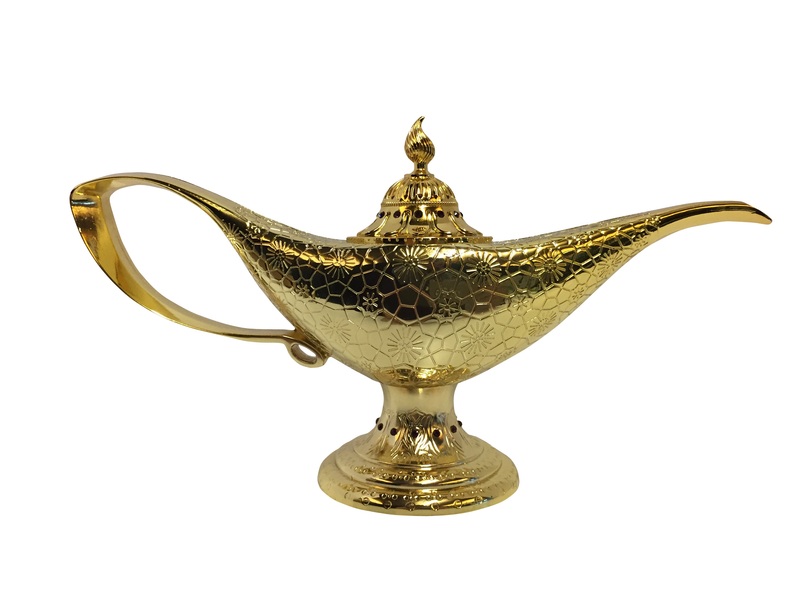 Bring the Magic of Agrabah to your production with the Official Lamp. Prop replica based on the actual magic lamp designed by Bob Crowley from the stage production. Shimmering gold design with inlayed glass jewels. Lamp is made of zinc alloy metal to provide a weighted feel and a fabric bottom to prevent slipping or scratching of surfaces.